What is voice over internet? WHAT IS A VOIP PABX? HOW CAN A VOIP PABX SAVE ME MONEY? Protocols used to carry voice signals over the IP network are commonly referred to as Voice over IP or VoIP protocols. They may be viewed as commercial realizations of the experimental Network Voice Protocol (1973) invented for the ARPANET. Voice over IP traffic can be deployed on any IP network, including those lacking a connection to the rest of the Internet, for instance on a local area network. In general, phone service via VoIP is free or costs less than equivalent service from traditional sources but similar to alternative Public Switched Telephone Network (PSTN) service providers. Some cost savings are due to using a single network to carry voice and data, especially where users have existing underutilized network capacity they can use for VoIPat no additional cost. 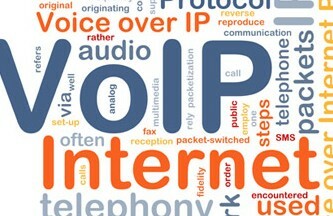 VoIP to VoIP phone calls on any provider are typically free, whilst VoIP to PSTN calls generally costs the VoIP user. There are two types of PSTN to VoIP services: DID (Direct Inward Dialing) and access numbers. DID will connect the caller directly to the VoIP user while access numbers requires the caller to input the extension number of the VoIP user. Access numbers are usually charged as a local call to the caller and free to the VoIP user while DID usually has a monthly fee. There are also DID that are free to the VoIP user but is chargeable to the caller. * Incoming phone calls can be automatically routed to your VoIP phone, regardless of where you are connected to the network. Take your VoIP phone with you on a trip, and wherever you connect to the Internet, you can receive incoming calls. * Free phone numbers for use with VoIP are available in the USA, UK and other countries from organizations such as VoIP User. * Call center agents using VoIP phones can work from anywhere with a sufficiently fast Internet connection. * Many VoIP packages include PSTN features that most telcos normally charge extra for, or may be unavailable from your local telco, such as 3-way calling, call forwarding, automatic redial, and caller ID. * Subscribers of phone-line replacement services can make and receive local phone calls regardless of their location. For example, if a user has a Johannesburg phone number and is traveling in Europe and someone calls the phone number, it will ring in Europe. Conversely, if a call is made from Europe to Johannesburg, it will be treated as a local call. Of course, there must be a connection to the Internet e.g. WiFi to make all of this possible. * Users of Instant Messenger based VoIP services can also travel anywhere in the world and make and receive phone calls. * VoIP phones can integrate with other services available over the Internet, including video conversation, message or data file exchange in parallel with the conversation, audio conferencing, managing address books and passing information about whether others (e.g. friends or colleagues) are available online to interested parties. VoIP technology still has a few shortcomings that have led some to believe that it is not ready for widespread deployment. However, many industry analysts predicted that 2005 was the year when more IP PBX ports were shipped than conventional digital PBX ports. One drawback is the inability to send faxes due to software and networking restraints in most home systems. However, an effort is underway to define an alternate IP-based solution for delivering Fax-over-IP, namely the T.38 protocol. Another drawback of VOIP service is its reliance upon another separate service – an internet connection. The quality and overall reliability of the phone connection is entirely reliant upon the quality, reliability, and speed of the internet connection which it is using. Shortcomings with internet connections and Internet Service Providers (ISP’s) can cause a lot of grief with VOIP calls. Higher overall network latencies can lead to significantly reduced call quality and cause certain problems such as echoing. Another drawback of VOIP is the inability to make phone calls during a power outage, but this problem also exists with many phones used with conventional land lines and can be remedied with a battery backup. If VoIP is used in solitary LAN (with no internet connection), it would consume more resources compared to a PABX. Because IP does not provide a mechanism to ensure that data packets are delivered in sequential order, or provide Quality of Service guarantees, VoIP implementations face problems dealing with latency and jitter. This is especially true when satellite circuits are involved, due to long round trip propagation delay (400 milisecond to 600 milisecond for geostationary satellite). The receiving node must restructure IP packets that may be out of order, delayed or missing, while ensuring that the audio stream maintains a proper time consistency. This functionality is usually accomplished by means of a jitter buffer. Another challenge is routing VoIP traffic through firewalls and address translators. Private Session Border Controllers are used along with firewalls to enable VoIP calls to and from a protected enterprise network. Skype uses a proprietary protocol to route calls through other Skype peers on the network, allowing it to traverse symmetric NATs and firewalls. Other methods to traverse firewalls involve using protocols such as STUN or ICE. Fixed delays cannot be controlled but some delays can be minimized by marking voice packets as being delay-sensitive. The principal cause of packet loss is congestion, which can be controlled by congestion management and avoidance. Carrier VoIP networks avoid congestion by means of traffic engineering. Variation in delay is called Jitter. The effects of jitter can be mitigated by storing voice packets in a buffer (called a play-out buffer) upon arrival, before playing them out. 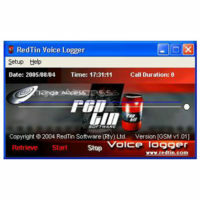 This avoids a condition known as buffer underrun, in which the playout process runs out of voice data to play because the next voice packet has not yet arrived, but increases delay by the length of the buffer. Common causes of echo include impedance mismatches in analog circuitry, and acoustic coupling of the transmit and receive signal at the receiving end. VoIP technology does not necessarily require broadband Internet access, but this usually supports better quality of service. A sizable percentage of homes today are connected to the Internet through DSL, which requires a traditional phone line. Having to pay for VoIP in addition to both a basic phone line and broadband Internet access reduces the potential benefits of VoIP. However, some regional telephone companies now offer DSL service without the phone (often called “naked DSL” or “dry loop DSL”), thus saving subscribers money when they switch to VoIP. VoIP can also be used with Cable Internet instead of DSL, potentially eliminating the need for a traditional phone line entirely. Conventional telephones are connected directly to telephone company phone lines, which in the event of a power failure are kept functioning by back-up generators or batteries located at the telephone exchange. However, household VoIP hardware uses broadband modems and other equipment powered by household electricity, which may be subject to outages dictating the use of an uninterruptible power supply or generator to ensure availability during power outages. Early adopters of VoIP may also be users of other phone equipment, such as PBX and cordless phone bases, that rely on power not provided by the telephone company. Even with local power still available, the broadband carrier itself may experience outages as well. While the PSTN has been matured over decades and is typically extremely reliable, most broadband networks are less than 10 years old, and even the best are still subject to intermittent outages. 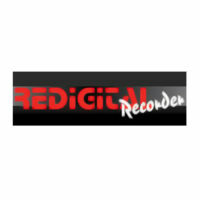 Furthermore, consumer network technologies such as cable and ADSL often are not subject to the same restoration service levels as the PSTN or business technologies such as T-1 connection. Some broadband connections may have less than desirable quality. Where IP packets are lost or delayed at any point in the network between VoIP users, there will be a momentary drop-out of voice. This is more noticeable in highly congested networks and/or where there is long distances and/or interworking between end points. Technology has improved the reliability and voice quality over time and will continue to improve VoIP performance as time goes on. The nature of IP makes it difficult to geographically locate network users. Emergency calls, therefore, cannot easily be routed to a nearby call center, and are impossible on some VoIP systems. Moreover, in the event that the caller is unable to give an address, emergency services may be unable to locate them in any other way. Following the lead of mobile phone operators, several VoIP carriers are already implementing a technical work-around. For instance, one large VOIP carrier requires the registration of the physical address the VOIP line will be used at. When you dial the emergency number for your country, they will route it to the appropriate local system. They also maintain their own emergency call center that will take non-routable emergency calls (made, for example, from a software based service that is not tied to any particular physical location) and then will manually route your call once learning your physical location. The United States government had set a deadline, requiring VoIP carriers to implement E911; however, the deadline is being appealed by several of the leading VoIP companies. This is a different situation with IPBX systems, where these corporate systems often have full E911 capabilities built into the system. While the traditional Plain Old Telephone System (POTS) and mobile phone networks share a common global standard (E.164) which allocates and identifies any specific telephone line, there is no widely adopted similar standard for VoIP networks. Some allocate an E.164 number which can be used for VoIP as well as incoming/external calls. However, there are often different, incompatible schemes when calling between VoIP providers which use provider specific short codes. 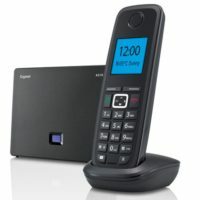 With hardware VoIP solution it is possible to connect the VoIP router into the existing central phone box in the house and have VoIP at every phone already connected. 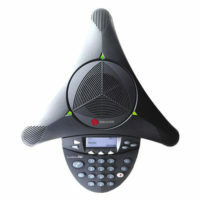 Software based VoIP services require the use of a computer, so they are limited to single point of calling, though handsets are now available, allowing them to be used without a PC. Some services provide the ability to connect WiFi SIP phones so that service can be extended throughout the premises, and off-site to any location with an open hotspot. However, note that many hotspots require browser-based authentication, which most SIP phones do not support. Telcos and consumers have invested billions of dollars in mobile phone equipment. In developed countries, mobile phones have achieved nearly complete market penetration, and many people are giving up landlines and using mobiles exclusively. Given this situation, it is not entirely clear whether there would be a significant higher demand for VoIP among consumers until either a) public or community wireless networks have similar geographical coverage to cellular networks (thereby enabling mobile VoIP phones, so called WiFi phones) or b) VoIP is implemented over legacy 3G networks. However, “dual mode” handsets, which allow for the seamless handover between a cellular network and a WiFi network, are expected to help VoIP become more popular. The majority of consumer VoIP solutions do not support encryption yet. As a result, it is relatively easy to eavesdrop on VoIP calls and even change their content. There are several open source solutions that facilitate sniffing of VoIP conversations. A modicum of security is afforded due to patented audio codecs that are not easily available for open source applications, however such security through obscurity has not proven effective in the long run in other fields. Some vendors also use compression to make eavesdropping more difficult. However, real security requires encryption and cryptographic authentication which are not widely available at a consumer level. The existing secure standard SRTP is available on consumer devices from some manufacturers like Sipura/Linksys for Analog Telephone Adapters(ATAs) and Gizmo Project for softphones (PCs/laptops emulating a phone). The Voice VPN solution provides secure voice for enterprise VoIP networks by applying IPSec encryption to the digitized voice stream. Caller ID support among VoIP providers varies. When calling a PSTN number from some VoIP providers, Caller ID isn’t supported, and the target person will not know who is calling. The number shows up as ‘Unknown’. In a few cases, VoIP providers may allow a caller to spoof the Caller ID information, making it appear that they are calling from a different number. But the majority of VOIP providers now offer full Caller ID w/ Name on Outgoing calls. A major development starting in 2004 has been the introduction of mass-market VoIP services over broadband Internet access services, in which subscribers make and receive calls as they would over the PSTN. Full phone service VoIP phone companies provide inbound and outbound calling with Direct Inbound Dialing. Many offer unlimited calling to the U.S., and some to Canada or selected countries in Europe or Asia as well, for a flat monthly fee. These services take a wide variety of forms which can be more or less similar to traditional POTS. At one extreme, an analog telephone adapter (ATA) may be connected to the broadband Internet connection and an existing telephone jack in order to provide service nearly indistinguishable from POTS on all the other jacks in the residence. This type of service, which is fixed to one location, is generally offered by broadband Internet providers such as cable companies and telephone companies as a cheaper flat-rate traditional phone service. Often the phrase “VoIP” is not used in selling these services, but instead the industry has marketed the phrase “Internet Phone” or “Digital Phone” which is aimed at typical phone users who are not necessarily tech-savvy. Typically, the provider touts the advantage of being able to keep one’s existing phone number. According to a study by Telephia, the top nine providers in the United States include Vonage, Verizon VoiceWing, AT&T CallVantage, SunRocket, Lingo, NetZero, BroadVoice, America Online, Packet8, and Earthlink. At the other extreme are services like Gizmo Project and Skype which rely on a software client on the computer in order to place a call over the network, where one user ID can be used on many different computers or in different locations on a laptop. In the middle lie services like Vonage or BroadVoice which also provide a telephone adapter for connecting to the broadband connection similar to the services offered by broadband providers (and in some cases also allow direct connections of SIP phones) but which are aimed at a more tech-savvy user and allow portability from location to location. One advantage of these two types of services is the ability to make and receive calls as one would at home, anywhere in the world, at no extra cost. No additional charges are incurred, as call diversion via the PSTN would, and the called party does not have to pay for the call. For example, if a subscriber with a home phone number in a U.S. area code calls someone else in his home area code, it will be treated as a local call regardless of where that person is in the world. Often the user may also select a phone number with any desired area code; this is generally done to minimize the phone tariffs of those who frequently call. For some users, the broadband phone complements, rather than replaces, a PSTN line, due to a number of inconveniences compared to traditional services. VoIP requires a broadband Internet connection and, if a telephone adapter is used, a power adapter is usually needed. In the case of a power failure, VoIP services will generally not function. Although few office environments and even fewer homes use a pure VoIP infrastructure, telecommunications providers routinely use IP telephony, often over a dedicated IP network, to connect switching stations, converting voice signals to IP packets and back. The result is a data-abstracted digital network which the provider can easily upgrade and use for multiple purposes. Corporate customer telephone support often use IP telephony exclusively to take advantage of the data abstraction. The benefit of using this technology is the need for only one class of circuit connection and better bandwidth use. Companies can acquire their own gateways to eliminate third-party costs, which is worthwhile in some situations. VoIP telephony is frequently used by podcasters because it is easy to record and saves significant costs over traditional telephone calls.